We are so close I can taste it! 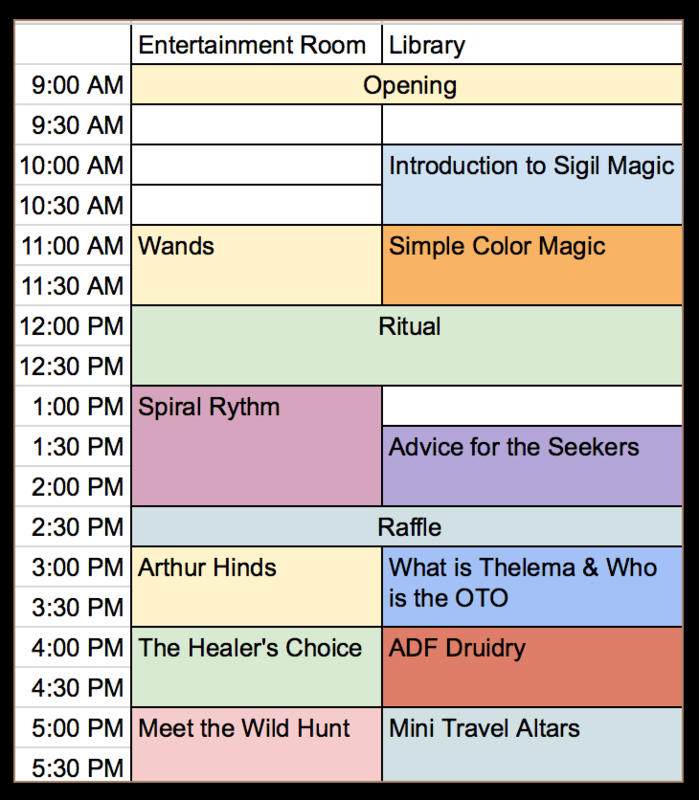 Atlanta PPD is this Saturday (24th) and we are predicting wonderful weather, amazing entertainers and class presenters, a fantastic collaborative ritual, dazzling vendors, tasty treats and lots, and lots of good people to meet! 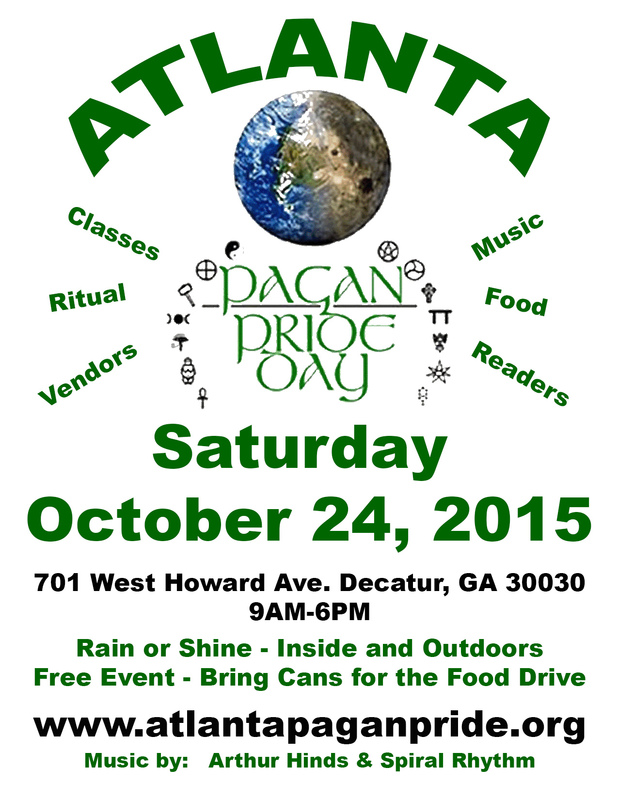 Remember cans for the Atlanta food bank, Pet food also accepted. Marta is Smarta, carpooling is great, and please park at the Thankful Baptist Church lot across the street if you are not movement impaired or otherwise in dire need of a nearer spot. Our parking is limited and so your parking consideration could allow someone to participate who otherwise might not be able to. We will have some signs directing you to the Thankful BC lot. 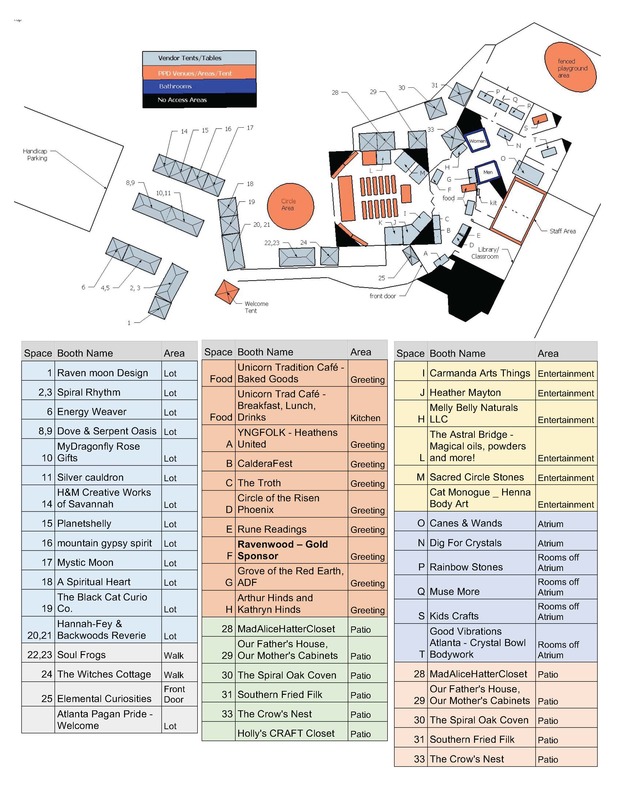 Remember that the entrance nearest the meeting house will be blocked, even for handicap parking traffic. those who need handicap or near parking, please enter and exit at the far end of the lot, or follow our signs for street parking. We have a parking permit variance from the city. 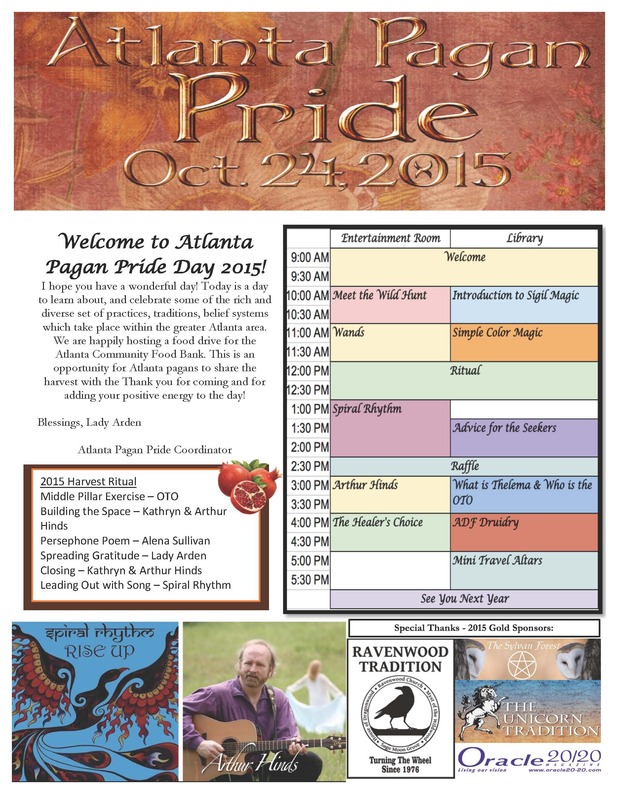 Okay, so we reserve the right to make some adjustments, but here is the schedule of the main events for Atlanta Pagan Pride Day 2015. Also, please keep in mind that some details are will be coming out through the week. We are working on adding in a few small kid friendly activities. We will also be sharing more information about the ritual this week, as a teaser I will say that there will be diverse components coming together in this year’s harvest celebration.